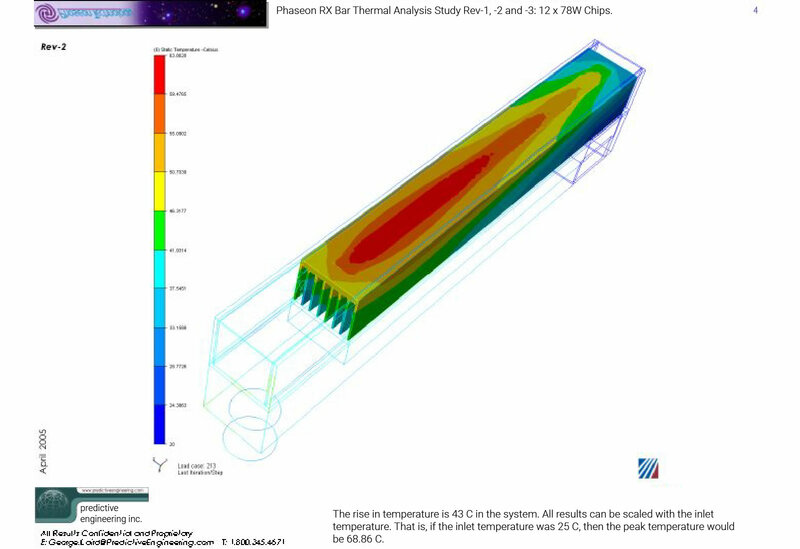 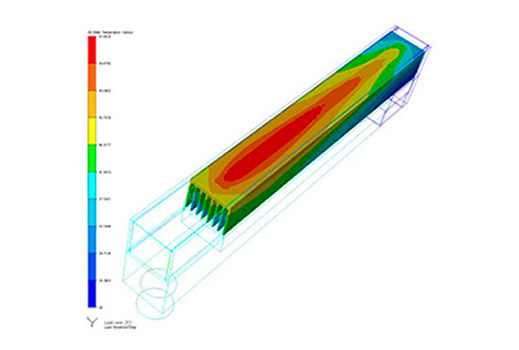 The objective of this analysis project was twofold; determine the temperature of the heat sink during steady state operation and determine the pressure drop across the system. 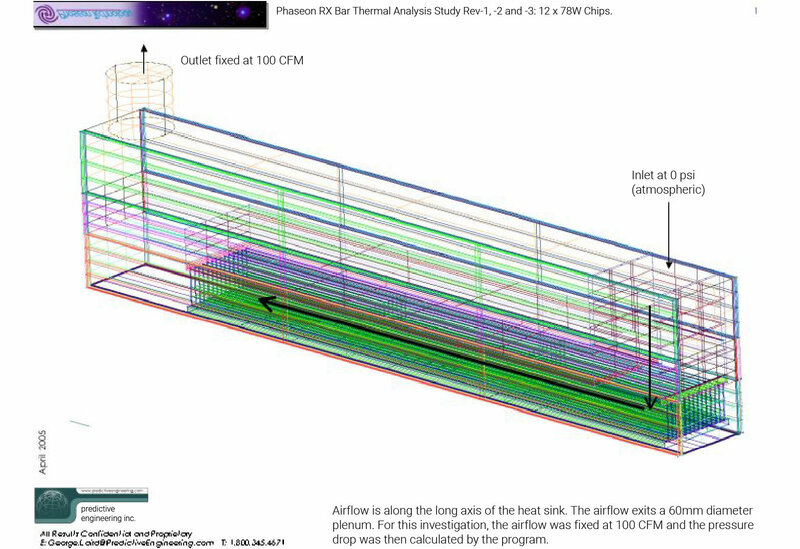 The temperature of the heat sink was critical as it had to be able to adequately cool the attached electronics. 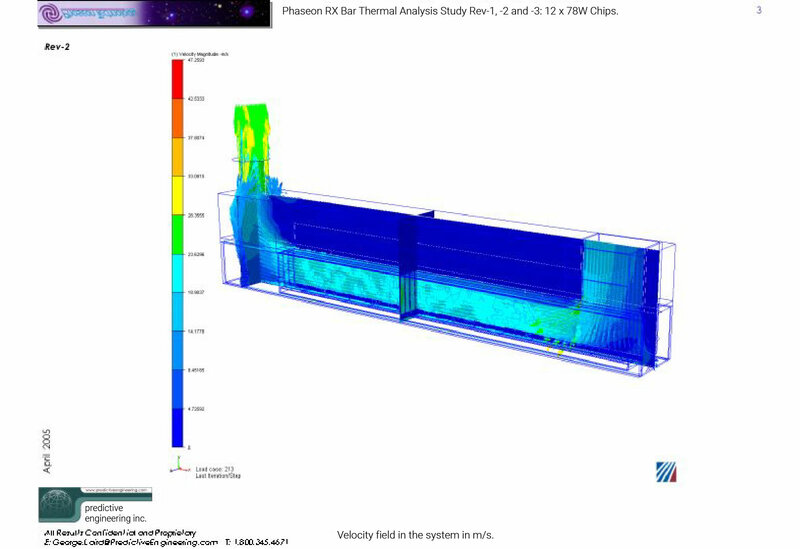 The pressure drop was important because the required flow rate and back pressure had to be taken into consideration when designing the air handling system. 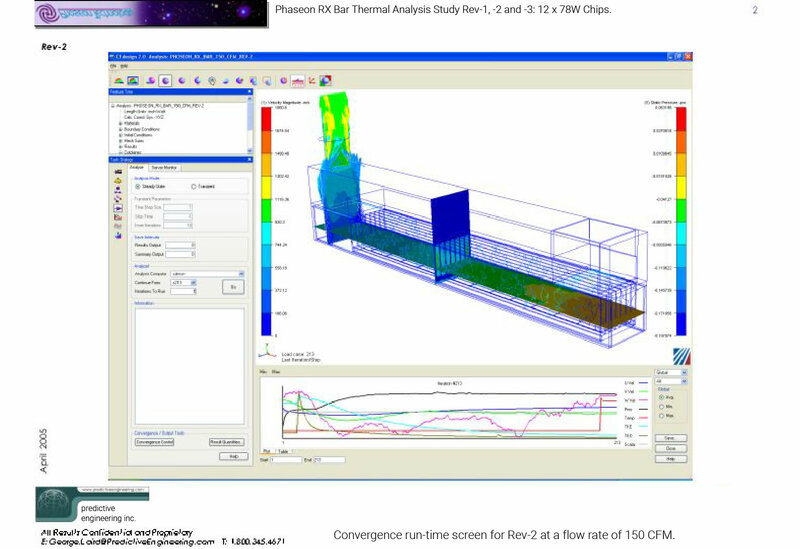 The system was analyzed under a range of air flow rates and inlet temperatures providing enough information to end client to interpolate for different operational scenarios.